2 Chances to watch Logs being Stacked! - Mountain Log Homes Of Colorado, Inc.
61 Coronet Dr. In Blue River is loading trucks this morning in numbered sequence to start the on-site stack Wednesday September 28. This Gearhart Signature Homes project boasts locally harvested Englemann Spruce 12-14" diameter logs with 4 bedrooms. This home home has seen it's challenges getting started. 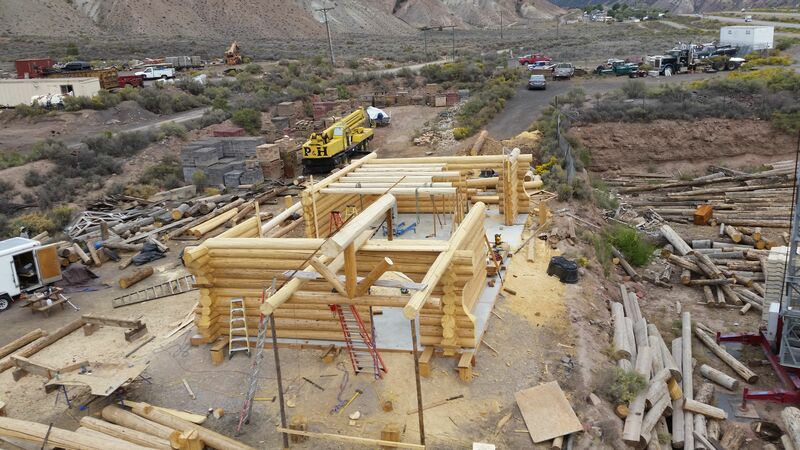 We had a fire with the first set of logs back in May, and some water issues at the jobsite, but with hard work by all and a site blessing by Native American Songwriter & Story Teller LEON Joseph LITTLEBIRD, all is back on track. We should have all exterior walls and structural roof system complete by end of business Friday. Come by and see it Being assembled. 22 SCR 533 Breckenridge will be stacked the week of October 3-6 by the Shavano Log Works crew from Nathrop. This home is also handcrafted of locally harvested Spruce and situated in close proximity to the Boreas Pass Trailhead. This 2 bedroom, 2 level home should be complete with walls in 3 days. 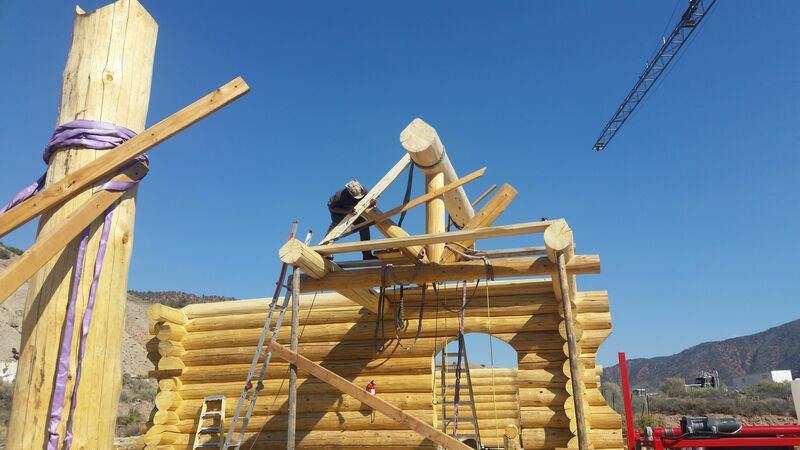 Come see the workmanship and communication between the crane operator and log crafters at work.